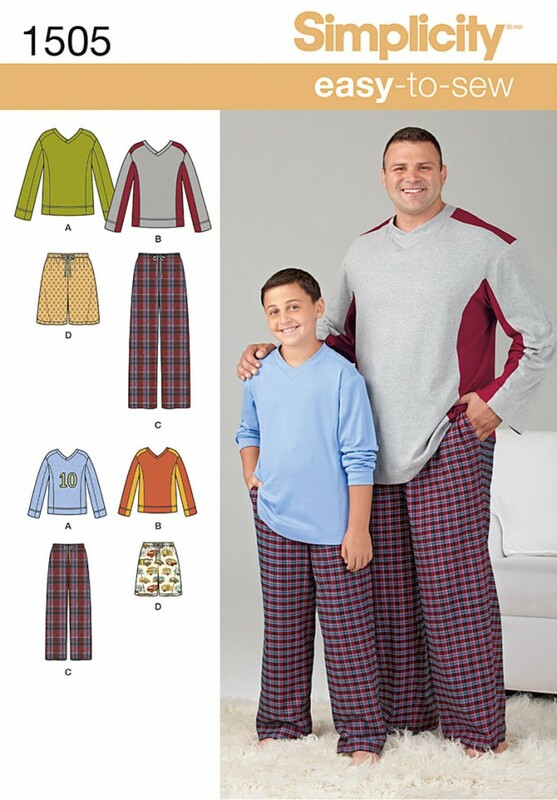 Get comfortable in this loungewear for husky boys and big and tall men. Pattern includes colour block long sleeve knit top and drawstring pants or shorts with elastic waist. Pants can be knit or woven.